The Mill’s VFX team worked closely with adam&eveDDB, director Frederic Planchon and Academy Films to produce a series of idents for renewable electricity and Gas supplier, SSE. 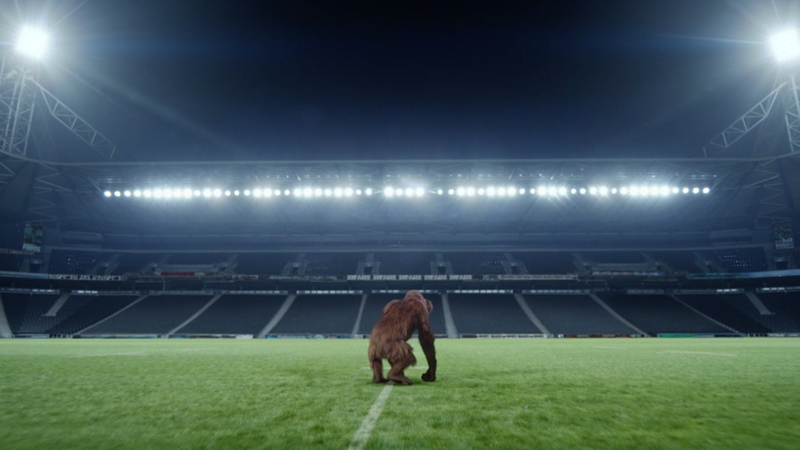 With this year’s Rugby World Cup in full swing, the idents are very topical as we see Maya, the 100% CG photo-real Orangutan, swinging from rugby posts and hanging-out in the changing rooms. She is depicted in awe of the energy used to create a global sporting event of this kind. Building on their extensive CG assets from the campaign’s previous ads, The Mill’s VFX team worked to recreate Maya entirely in CG so as to further evolve her character as she embarks on yet another adventure.